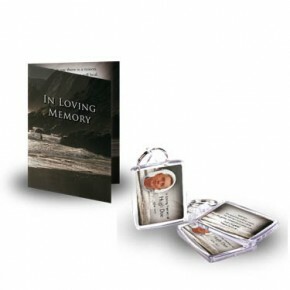 Package 1 contents: Folded Memorial and keyring. In this classic package our popular folded memorial card is combined with the personalised key ring – a lovely reminder of the one we are remembering. 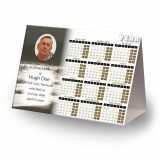 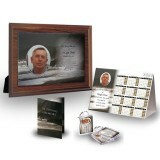 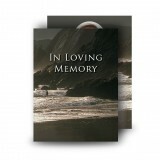 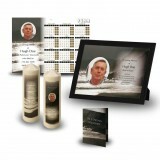 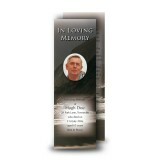 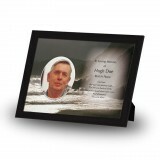 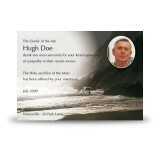 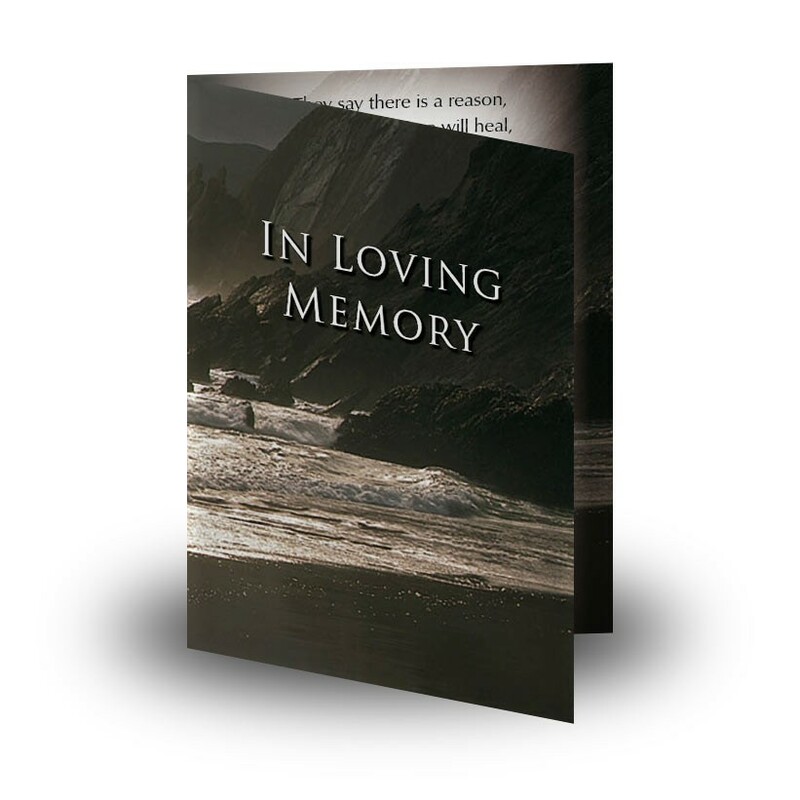 Our folded memorial card is a wonderful way of showing that your loving memories will always remain present. 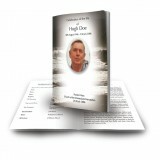 It allows for a wide range of customisation of content including a cover page, verses and photos. 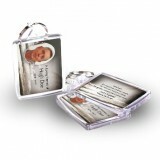 We all carry our keyring with us at all times. 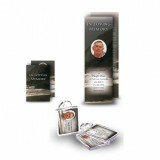 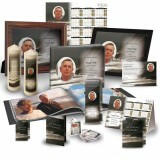 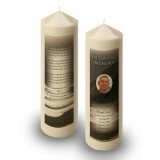 By having one dedicated to the memory of your loved one, we treasure their memory visible to others everywhere we go. 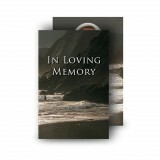 Imprint your beautiful memories of the heart and carry them always. 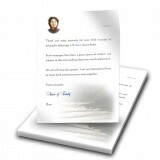 Over 300 designs and more than 200 verses allow for a wide range of customisation all across our discounted Standard Package. Include photographs, background images and memorial verses for your 4 Page Memorial Card and your Memorial Keyring - beautifully combined especially for you by our expert designers in our Standard Package. 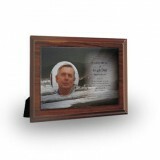 Please note: 5% discount will be shown after you add to basket.